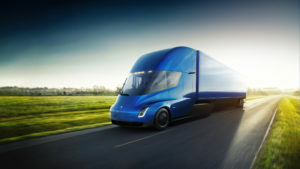 DHL Supply Chain has placed an order for ten Tesla Electric Class 8 Semi Trucks which are due to be delivered in 2019. The trucks will be used in the US for shuttle deliveries and same-day customer deliveries, and will be tested for mileage efficiency on longer runs from major markets to other DHL operations across the country. “At DHL Supply Chain, we’re always thinking beyond today’s shipment – whether that be thinking about tomorrow, next month or two years from now when these trucks become available,” said Jim Monkmeyer, president of transport at DHL Supply Chain North America.